After so many leaks, predictions and speculations, Apple has launched the next generation of iPhones. 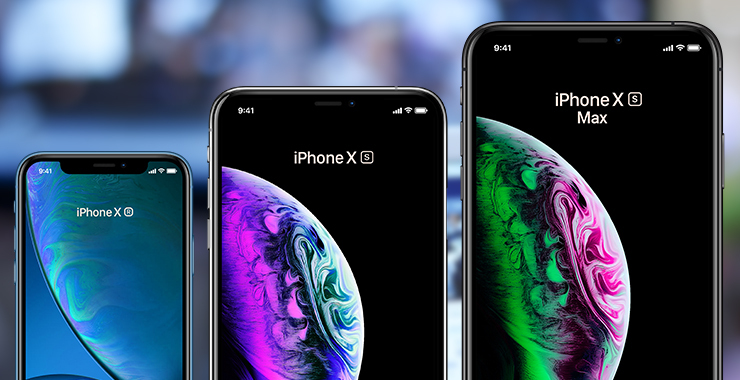 Like the last year’s event, this year too three iPhones were announced at the recently concluded Apple event: iPhone XS, iPhone XS Max, and, cheaper, iPhone XR. Last year’s iPhone X has received tons of updates. 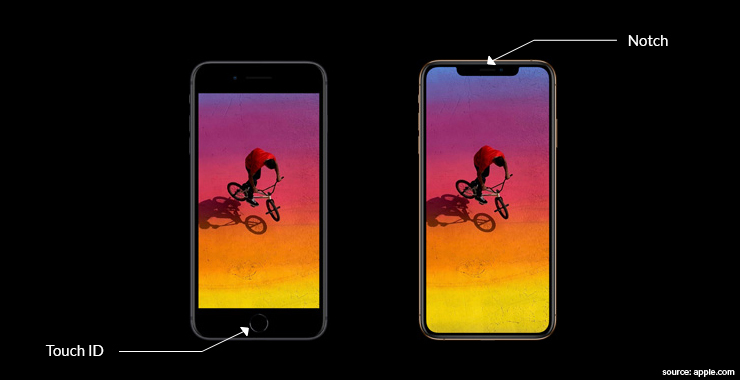 Its successor comes in two sizes: iPhone XS (pronounced “ten S”) and iPhone XS Max. iPhone XS Max is a larger avatar and features a bigger battery and screen than iPhone XR, which among many upgrades sport the next gen Apple SoC, A12 Bionic. 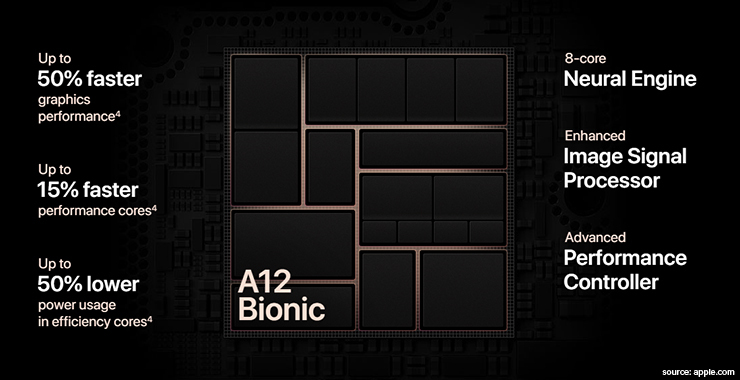 A12 Bionic SoC, in fact, is standard across all the iPhone announced in 2018, including the entry-level iPhone XR. Apple A12 Bionic processor features 6 cores in big.LITTLE configuration wherein 2 high performance cores are up to 15% faster while remaining 4 efficiency cores consume up to 50% less power than A11 Bionic of iPhone X. The current generation of Apple SoC boasts a GPU with four cores and lossless memory compression. The GPU delivers up to 50% performance gain over A11 Bionic in terms of graphics power. With iPhone XR, Apple has ditched bezels and embraced ‘notch’ altogether. While last year’s iPhone X did have bezel less and ‘notch’ design, the entry-level iPhone 8 and iPhone 8 Plus, had profound bezels and notch absent. Not to mention, those two were the last iPhones to have a home button. Apple has ditched the Home button and Touch ID in favor of Face ID and the TrueDepth camera respectively in all iPhones. iPhone XR, in addition to using the same processor as the iPhone XS and iPhone XS Max, supports Face ID and has TrueDepth camera. The major difference between ‘XS’ and, cheaper, ‘XR’ is the display technology. The cheaper variant features a LCD display, which Apple calls “Liquid LCD”. iPhone XS and XS Max, on the other hand, have a more vivid “Super Retina” OLED display. Unfortunately, iPhone XR only uses a single rear camera like the iPhone 8. Seems like Apple likes to reserve more premium features like dual-camera system, wireless charging and OLED display for its more premium phone offerings namely, iPhone XS and XS Max. 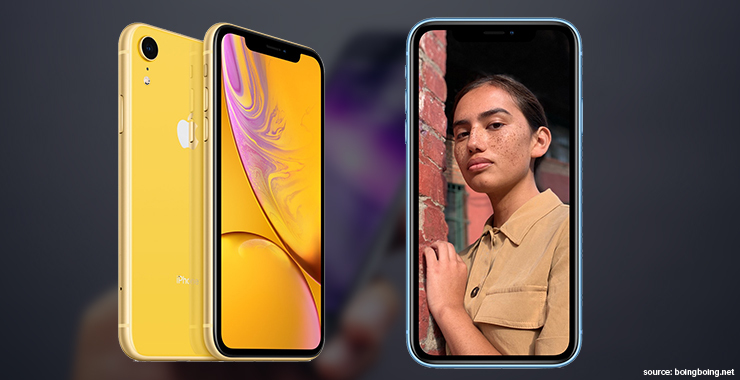 All the three iPhones support Smart HDR, optical image stabilization and portrait mode despite iPhone XR missing a dual-camera system. SmartHDR is courtesy of A12 Bionic and automatically makes improvements to photos using machine learning. Apple, expectedly, has insisted on 12MP rear camera setup this year too. XS and XS Max have two of those 12MP cameras in f1.8 and f2.4 setup respectively while XR has only one in f1.8 setup. 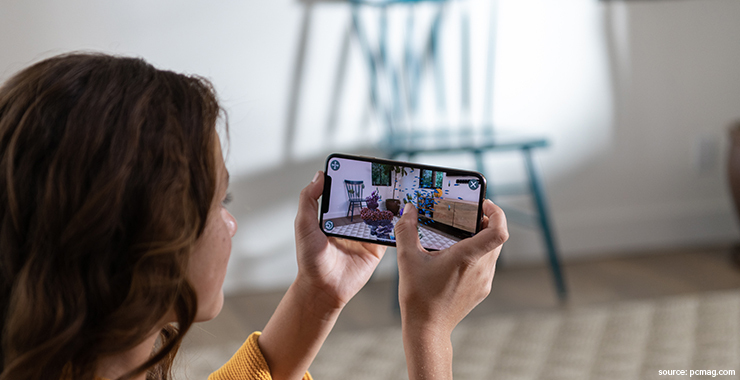 Apple has made last year’s TrueDepth camera standard across all its iPhone models. That is, the same 7MP camera is present on all the three announced iPhones. Although subtle, Apple brings some noteworthy features with the new line of iPhones. All three new models have got rid of the home button to make room for more screen. The bezel-less screen, indeed, looks overwhelming from every angle. Not to mention, Apple has the most sophisticated facial-recognition technology to unlock its device thanks to the industry-best TrueDepth camera, which is now, fortunately, standard across all the 2018 iPhones. I would like give a clear thumbs-up to Apple for that. Apple iPhones may be getting more expensive every year. But with the amount of additions and efforts it is putting on them, iPhone are still worth every penny and I don’t think that is changing anytime soon. Can’t wait to get your hands on the new iPhone? We have a good news for you. There is even a better news if you’re an app developer, publisher, or someone looking to develop an app for the new iPhones. At TOPS, a leading mobile app development company, we have an enormous experience in developing leading edge applications for iPhones, iPads, and Apple Watch. An expert team of iOS developers, persistently works around delivering one quality iOS app after another and they are ready for the new iPhones too.